The cities, towns, and neighborhoods that together make up greater Boston have changed significantly in the last few decades. Between 1990 and 2016, the region has become more affluent and more ethnically and racially diverse. However, during this same period, increases in house prices and rents outpaced the growth in many residents’ incomes. Moreover, while many of these changes have occurred throughout the region, the pace and nature of change has been uneven across the region’s cities, towns and neighborhoods. As a result, like the nation as a whole, the region is also becoming increasingly unequal and marked by growing concentrations of poverty and affluence. 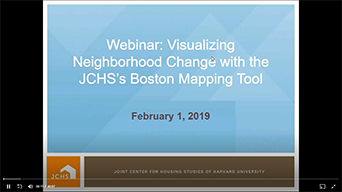 This research brief, which is being released in conjunction with the Boston Neighborhood Change Interactive Map uses data from the 1990 and 2000 decennial census surveys as well as the Census Bureau’s American Community Survey (ACS) 5-Year Estimates from 2006–2010 and 2011–2016 (hereafter referred to as 2010 and 2016) to document a variety of changes in the 1,003 census tracts—small areas delineated by the Census Bureau that serve as statistical approximations of neighborhoods—that together make up the Boston–Cambridge–Newton, MA–NH Metropolitan Statistical Area (MSA).1 This area not only covers Boston and nearby cities and towns but also stretches north to parts of southern New Hampshire, west to some of central Massachusetts, and south towards (but not into) Cape Cod and Massachusetts’ South Coast cities. It is home to about 4.7 million people, which makes it the nation’s 10th largest MSA. Gentrification or Stagnation in Low-Income Tracts.